In the spirit of Valentine’s Day and all things dreamy, we’ve roamed the plains and scoured the savannah for the top most romantic lodges in Africa. It’s not all about rose petals and champagne at these spots either (but you can have those too if you like) – we’ve got hidden boltholes as far away as you can possibly imagine, private island nirvanas and lodges just made for two. Read on for our heart-meltingly good selection and earn some serious brownie points for next year’s February 14th. A private island in the middle of the Zambezi (yes you read that right), Sindabezi Island literally oozes charm, luxury and romance. With only five chalets on the island, it’s never exactly busy but for the ultimate time-out, check out the Honeymoon Chalet. 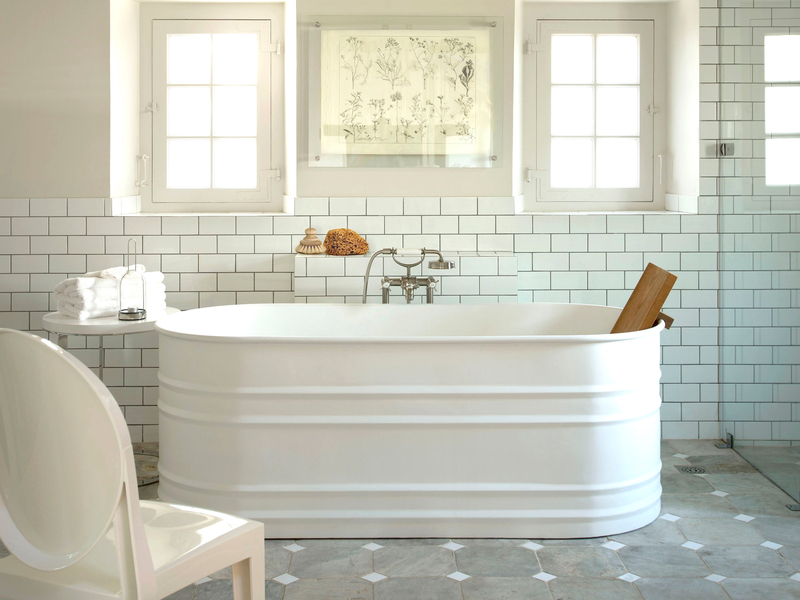 There’s a private beach for doe-eyed dinners a deux, soft cotton sheets to wriggle around in and a claw-footed bathtub with views straight over the river. There isn’t a sunset in the world that can compete with an African sunset and especially not one from Cape View Clifton’s panoramic deck. 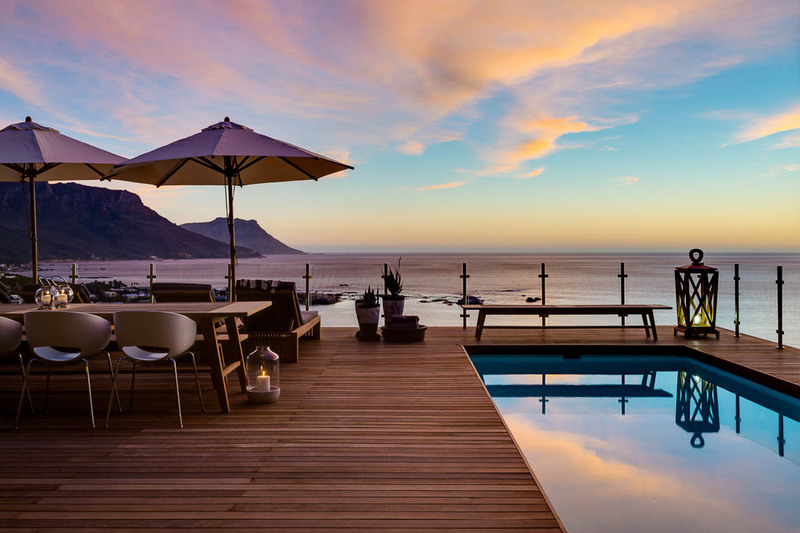 Watching the sizzling sun sink into the pastel-hued ocean with a glass of something chilled at one of the most romantic lodges in Africa is a moment never to be forgotten… especially when it’s followed by a dinner of fillet steak and fluffy risotto, whizzed up by your private chef. In a country of super swish (and super romantic) lodges, Sandibe might just top them all. Suspended between the swishing trees on the banks of the Sandibe River, the eight suites are ultra-modern cocoons of bleached wood and glittering views. 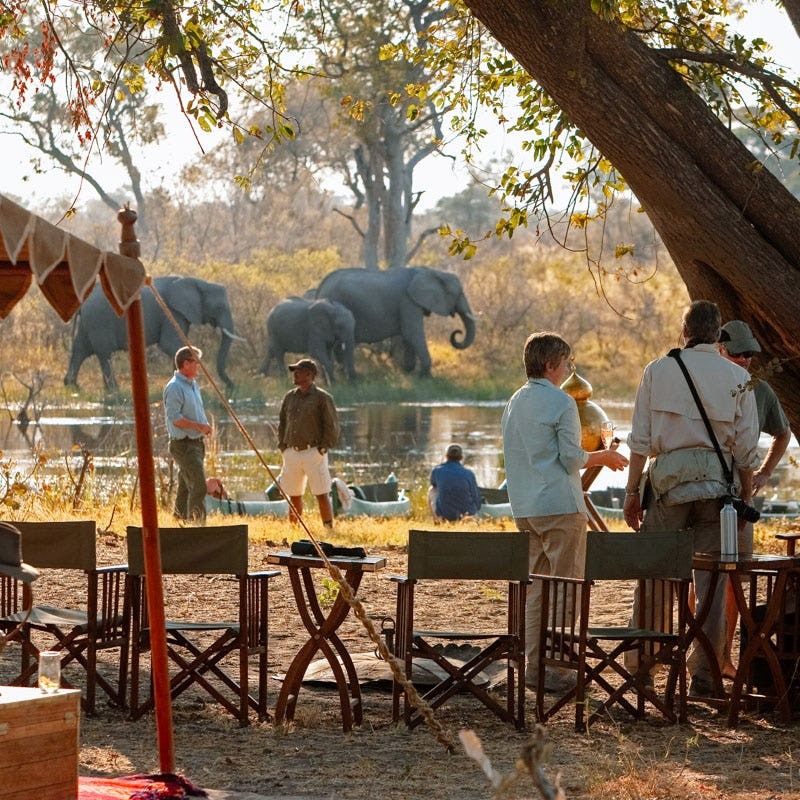 But it’s the helicopter flights above the glassy Delta waterways and game drives through the private concession that make this one of the best and most exclusive places to game-view on the continent. 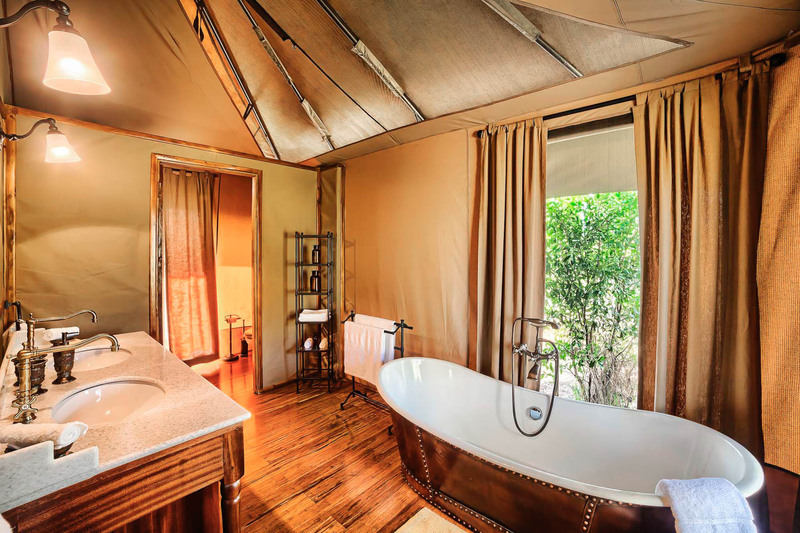 What makes this tiny camp one of the truly special romantic lodges in Africa is the unspeakably brilliant location on the banks of the Luwi Sand River in the South Luangwa. 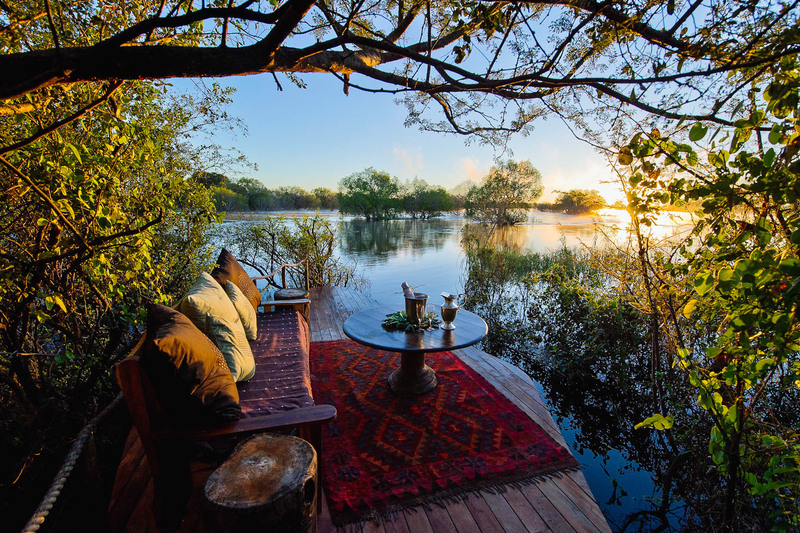 You’ll share your space with no-one, bar perhaps a curious elephant or a harrumphing hippo in the nearby lagoon. 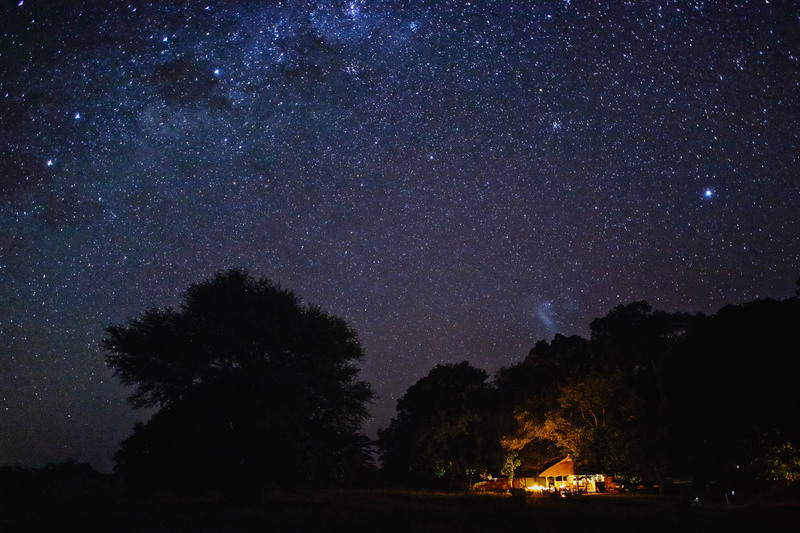 Days are spent on foot, exploring the miombo forest surrounding camp and nights, dining in the bleached-sand riverbed surrounded by flickering lanterns and the twinkling of a million stars. 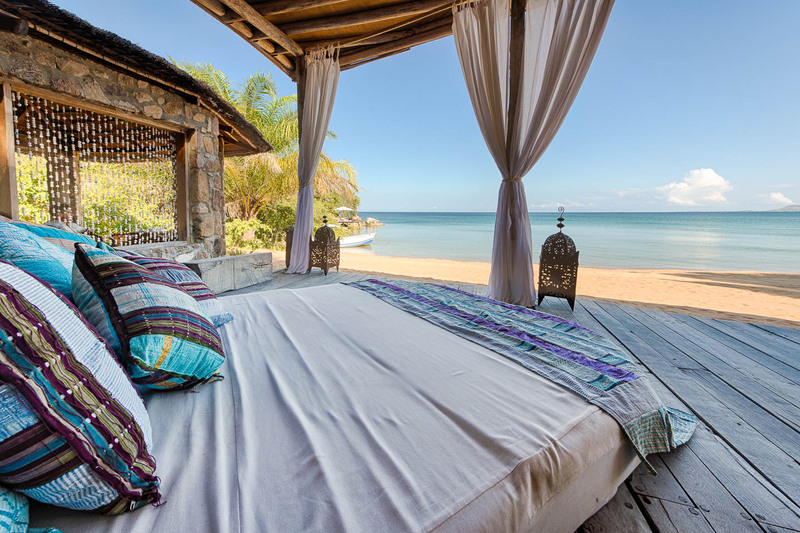 In the middle of the glittering waters of Lake Malawi, clinging to the rocks over a perfect crescent of white sand, is Kaya Mawa. From the charming, boho-chic cottages to the white-curtained sun loungers on the beach and the plethora of perfectly private nooks and crannies, Kaya is effortlessly relaxed and romantic. Nothing is ever too much trouble either, be it a mango smoothie brought to your door or a champagne picnic high on the rocks. In fact, this is the kind of place where dreams might actually come true. When we say Babylonstoren is a farm, we don’t mean a muddy boots and jackets smelling faintly of cows sort of farm – this is a farm that will take your breath away. 8 acres of heavenly gardens, bursting at the seams with shiny tomatoes and sweet-smelling jasmine for wandering in; a picturesque vineyard and state-of-the-art cellar for wine tasting in; a fabulously fresh and award-winning restaurant to tickle your tastebuds in; and last but not least, 12 elegant and charmingly authentic cottages to rest your head in. Heaven. 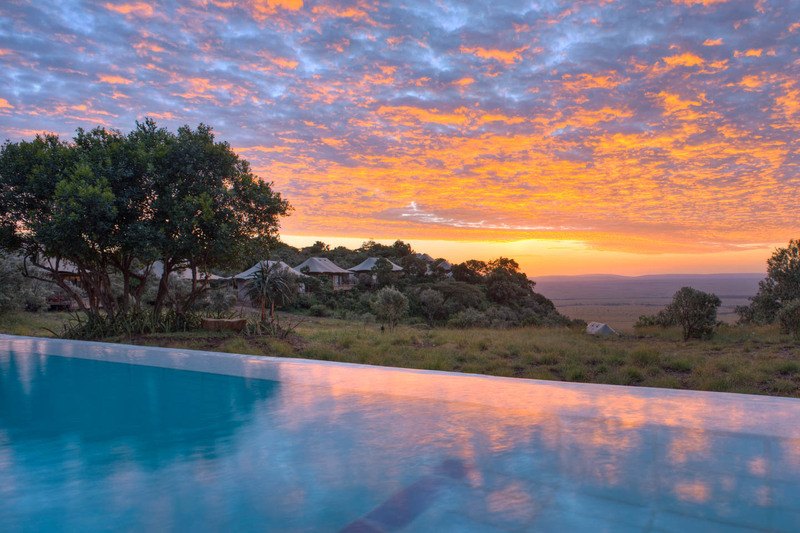 Seemingly floating in mid-air, high above the rambling plains of the Masai Mara, Angama Mara is romance in a nutshell. 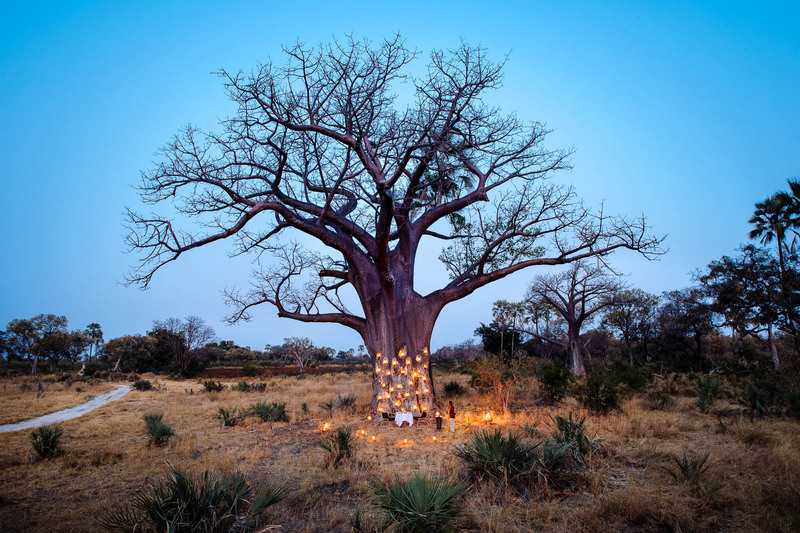 As well as dreamy game drives in classic Landrovers and glorious bush walks alongside long-limbed Maasai, hopeless romantics will love the Out of Africa style picnics. 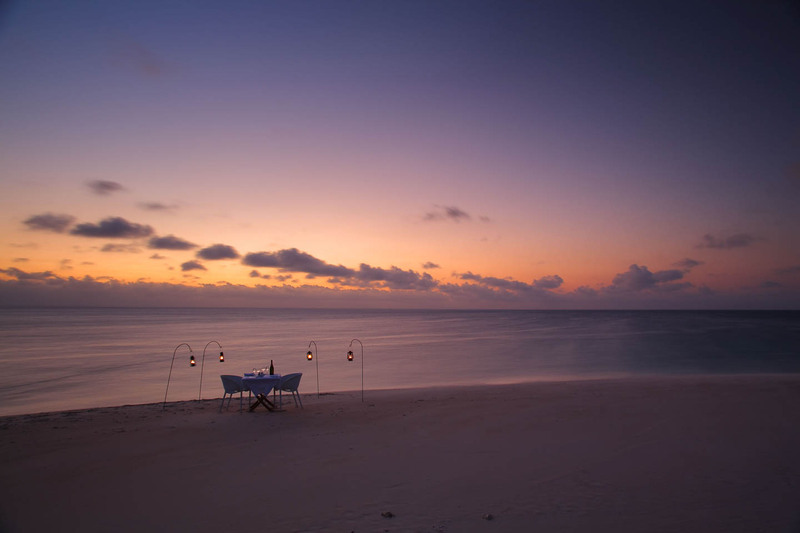 Settle down on your chequered blanket, sip sparkling wine from a crystal flute and gaze out at THAT view. We couldn’t think of anything better. Live out your wildest, private-island dreams at Azura Quilalea. A mere wisp of white sand in the midst of the swirling, turquoise seascapes of the Indian Ocean, it’s literally in the middle of nowhere. When you’ve had enough of snorkelling with the clouds of reef fish, there’s a fabulous spa, enshrouded in billowing white muslin and picnics for two on the most deserted of beaches. Paradise, well and truly found. 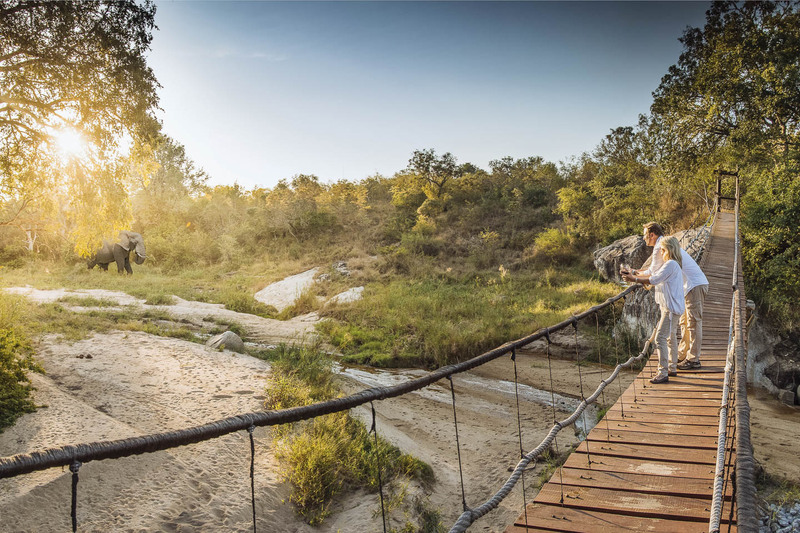 If romance is immersing yourself in the beauty of nature, thousands of miles away from anyone else, then Selous might be the most romantic place on earth. Actually make that Sand Rivers, one of the understated romantic lodges in Africa, an utterly wonderful camp in the heart of the wilderness. Sitting on your private deck watching the comings and goings of the surroundings is not to be sniffed at, but it’s fly-camping under a spangly sky with the hum of nature all around that’s truly special. It’s tempting to stay in your room at Dulini, spending the sun-baked afternoons in your private pool or luxuriating in a puff of feather-soft cushions on the deck. But if you can drag yourself away from one of the top romantic lodges in Africa you won’t be disappointed, for this is the place to see the Big Five, leopard in particular. And when you return to sweet-smelling towels, candlelit dinners and hot cocoa before bed, it definitely scores as one of the most romantic lodges to enjoy in Africa.